I've uploaded a demo stack, how do I add my blog data? I've searched for tutorials, but after loading the stack templates, it's unclear how I get all my website posts and information integrated with the new theme/ stack? It just has the new layout, but none of the information from the website/ blog. When looking at the blog from a different device/ browser, it has the posts/ information with a header that says demo blog. Where can I fin the right information/ tutorials for this? 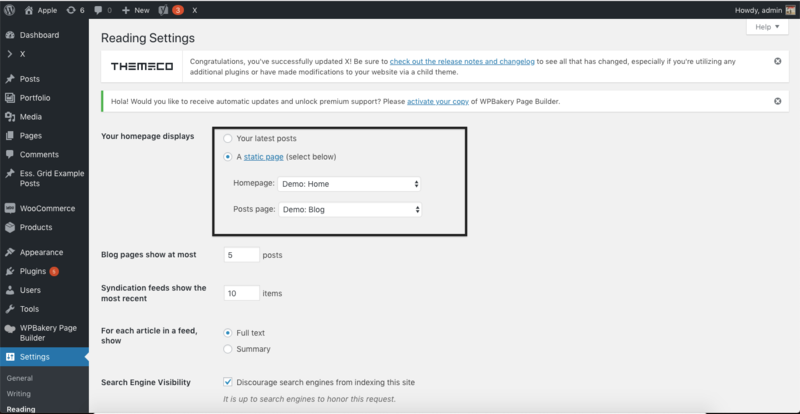 Posts: You can select the blog posts page and or home page under Settings > Reading. 2. If you would like to have separate menu items then same can be done from Appearance > Menus.